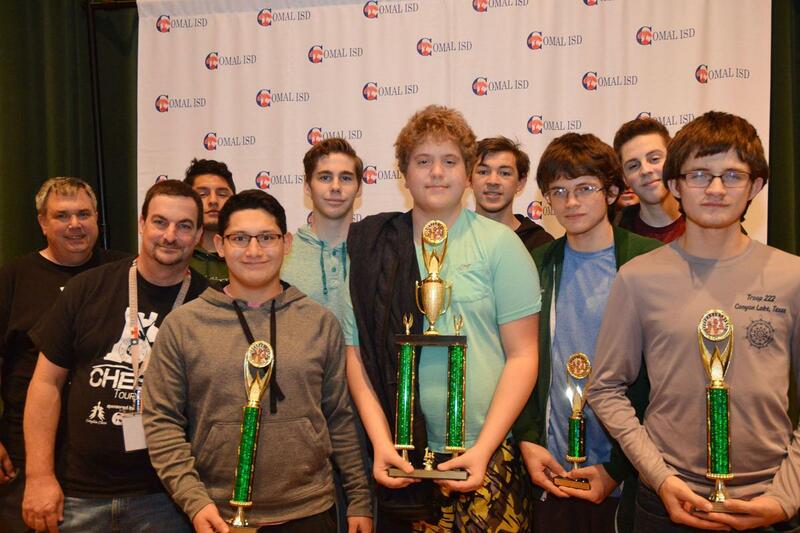 Individual and team honors were awarded recently during the first of three district-wide Chess Tournaments. The first tournament was hosted at Canyon Lake High School. The next is scheduled for Feb. 23 at Smithson Valley High School followed by the final tournament on March 23 at Canyon High. 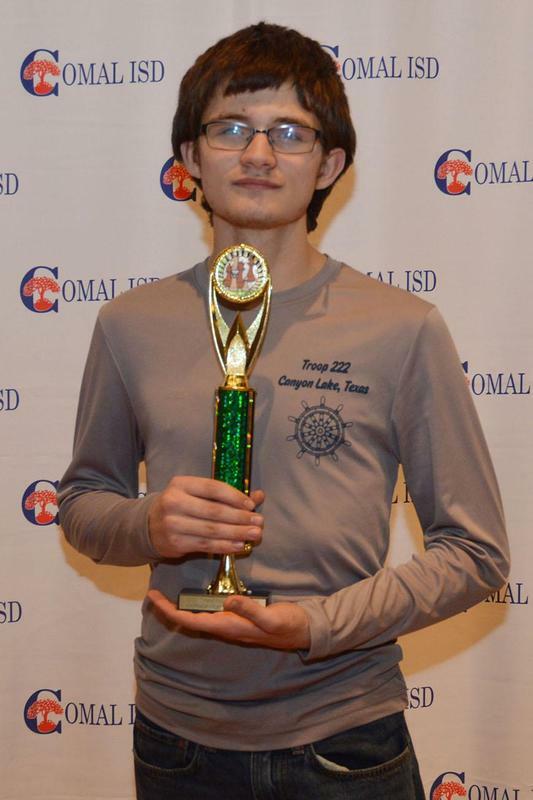 The first of three chess tournaments hosted by the Comal Independent School District took place at Canyon Lake High School recently with campuses and individual students taking top prizes and bragging rights. 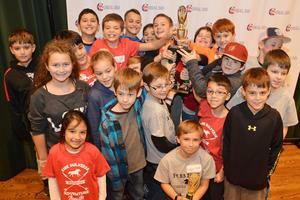 Divided into age categories, students from kinder through 12th grades competed for the honor of being a chess champion. The campus taking home the top team trophy in the kinder through second grade category was Bill Brown Elementary (BBES) with Aarnav Penagaluru, second grader from Hoffmann Lane Elementary in first place; Callen McElroy, second grader from BBES in second place; Tessa Schroeder, third grader from BBES in third place; Jack Schroeder, fourth grader from BBES in fourth; and Ryan Roberts, second grader from Arlon Seay Elementary in fifth place. In the third through fifth grade category, Rahe Bulverde Elementary (RBES) took home the top team prize with Cole Covington, fifth grader from RBES in first place; Henry Ferris, fourth grader from Specht Elementary in second; Luke Schroeder, fifth grader from BBES in third; Hudson Chilton, fifth grader from RBES in fourth; and Luke Ringlein, fifth grader from BBES in fifth. 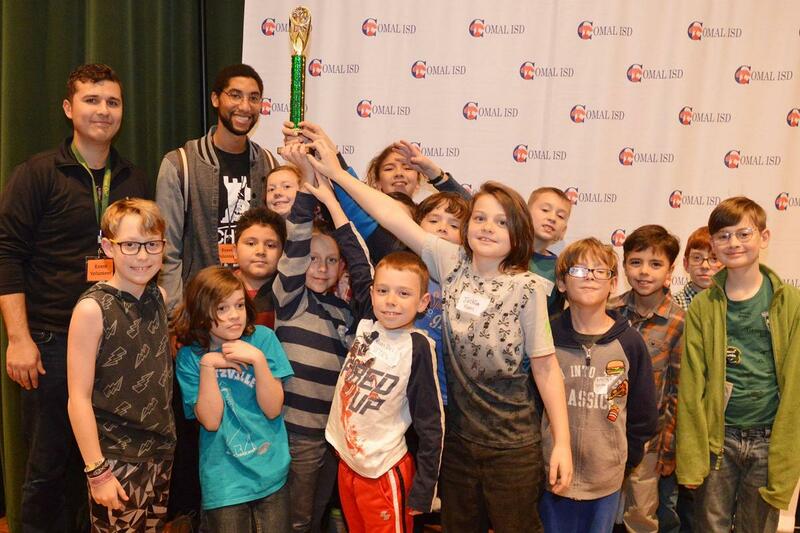 The elementary participation award went to Startzville Elementary. 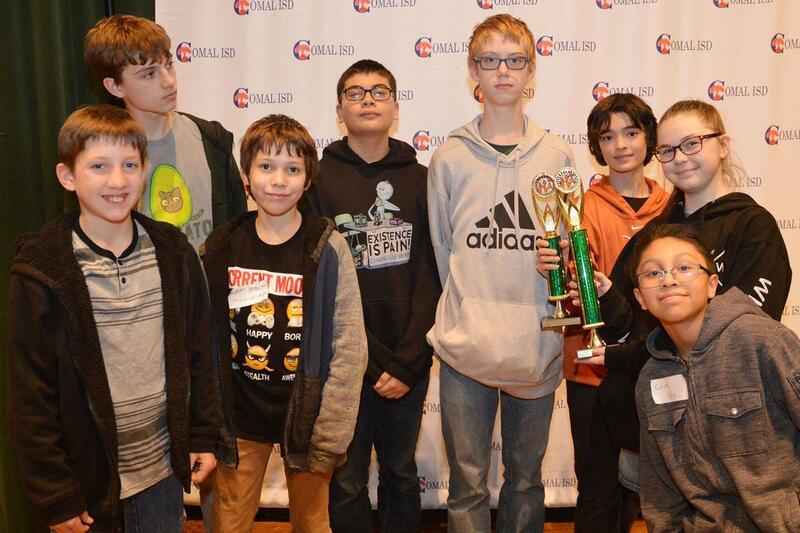 Church Hill Middle School (CHMS) took the top team prize in the sixth through eighth grade category, with Dakota Fisher, a seventh grader from CHMS in first place, Gavin Babcock, a sixth grader from Mountain Valley Middle in second place; Troy Messina, a sixth grader from Pieper Ranch Middle in third place; Joshua Freeland, a sixth grader from Spring Branch Middle in fourth place; and Owen McNamara, a seventh grader from CHMS in fifth place. Participation award went to MVMS. The team prize in the ninth through 12th grade category went to CLHS with Thomas Fowler, a junior at CLHS in first place; Dylan Sandau, a junior at CLHS in second place; Chance Tucker, a junior at CLHS in third place; Timothy Fowler, a junior at CLHS in fourth place; and Jeremiah Brooks, a sophomore at CLHS in fifth place. 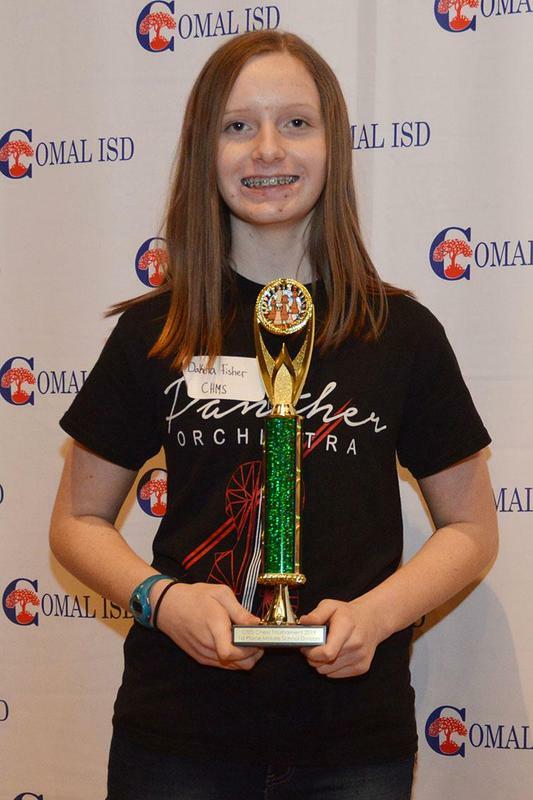 Registration is open to all Comal ISD students to enter the remaining two tournaments with the next scheduled for Saturday, Feb. 23, at Smithson Valley High, and the third set for Saturday, March 23, at Canyon High. Each has 300 spots available on a first come, first serve basis. The game of chess is known to help young learners concentrate, think logically, overcome obstacles, spot patterns and categorize information. It is also known to help build confidence and self-esteem in students. 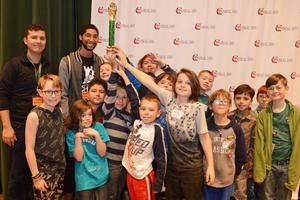 Register for one of the remaining CISD chess tournaments by visiting http://sascholastic.com/. Top Photo: Bill Brown Elementary took home the top team trophy for the Kinder through second grade category during the first of three Chess Tournaments hosted by Comal ISD, collectively earning the most points in their age division. 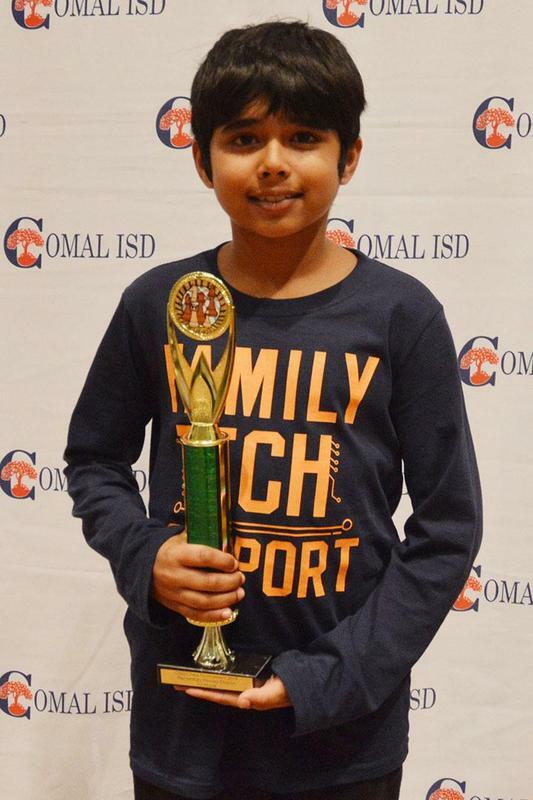 2nd Photo: Aarnav Penagaluru, second grader from Hoffmann Lane ES took first place in the kinder through second grade category at the first Chess Tournament. 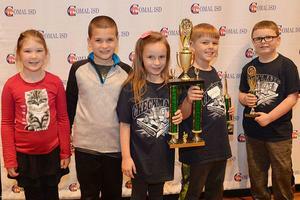 3rd Photo: The Rahe Bulverde Elementary team took home the trophy for the third through fifth-grade category. 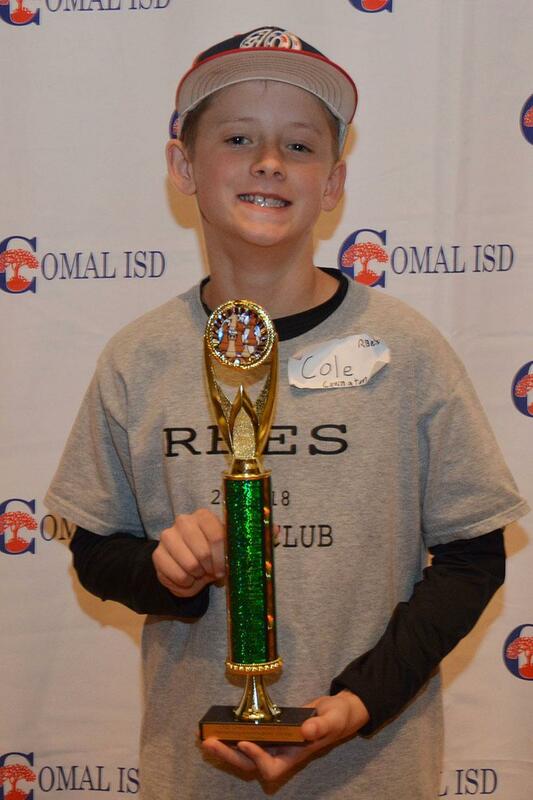 4th Photo: Cole Covington, fifth grader at Rahe Bulverde Elementary took home the top prize in his age group. 5th Photo: The Startzville Elementary team received the Participation award for school involvement. This award was based on the highest percentage of involvement in relation to total enrollment. 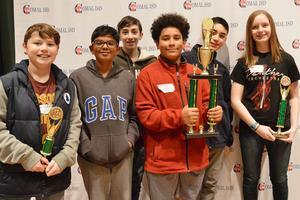 6th Photo: Church Hill Middle School won the top team award for the 6-8 category. 7th Photo: Dakota Fisher, seventh grader at CHMS, placed first in the 6-8 category. 8th Photo: The Mountain Valley Middle School team took home the Participation Award for the 6-8 category. 9th Photo: The Canyon Lake High School team took home the top team award for the 9-12th grade category. 10th Photo: Thomas Fowler, a junior at CLHS, took home the trophy for first place in the 9-12th grade category.